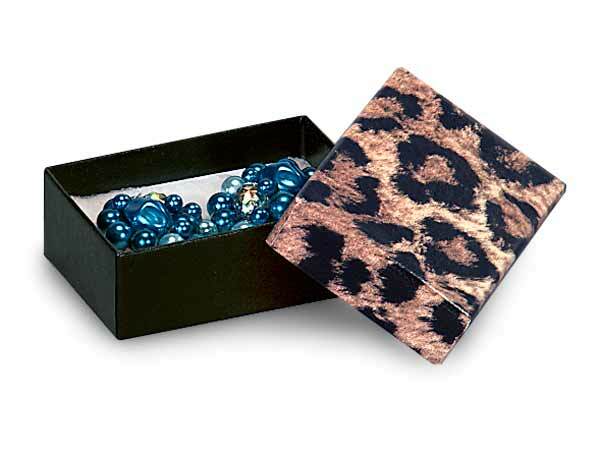 2-7/16x1-5/8x13/16" Leopard Print Jewelry Boxes feature a two-piece rigid box with black bottom and leopard print lid. Inside is white with non-tarnishing synthetic cotton fill. Great size for small items like earrings & pins.